Another Day in the Neighborhood…. This morning, we began to celebrate because we got our first sample of gray leaf spot of the season. 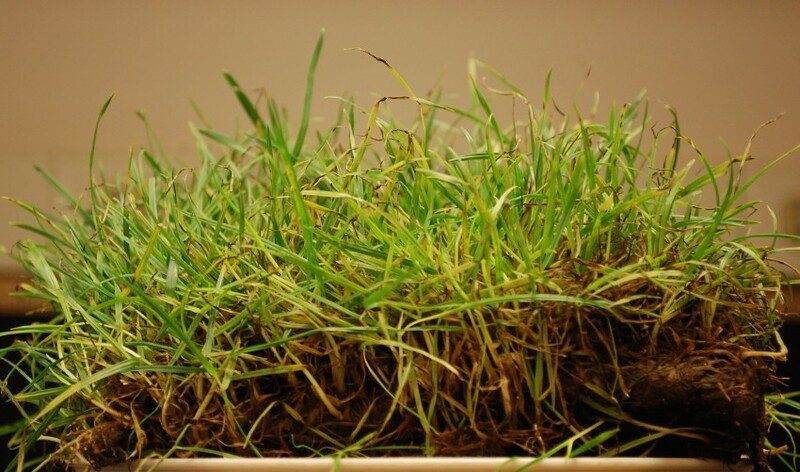 It happened to be on a perennial ryegrass turf from Arizona, but mentioned in passing to Dr. Clarke, and he says that he has active disease in his research plots on the farm now, too. Gray leaf spot is caused by the fungus Pyricularia oryzea. 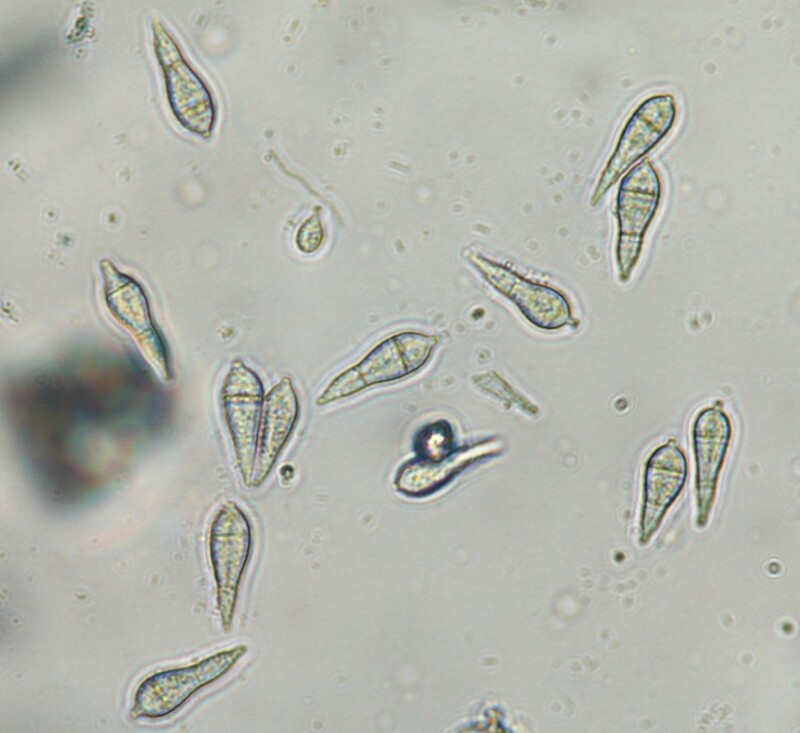 Perennial ryegrass and tall fescue are reported to host the disease, but we rarely see field samples of tall fescue from our area. 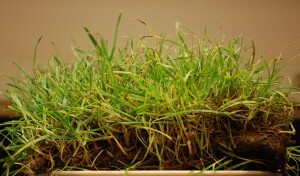 Almost every sample we see is perennial ryegrass, except for the occasional Hakenochloa that wanders into the lab. Normally, the disease begins to fester in perennial ryegrass during the first week or two of August as subtle leaf spots. If the weather conditions favor disease development (68°F @ 36 hours leaf wetness / 90°F @ 9 hours leaf wetness) then the fungus rapidly blights leaf blades, giving them a “fish hook” appearance. 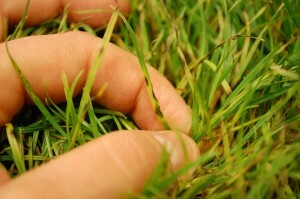 The symptoms progress quickly from there, killing whole plants and leaving large areas of susceptible grass in shambles. Those of you that remember the epidemics during the mid-1990s realize the destructive potential of this critter. 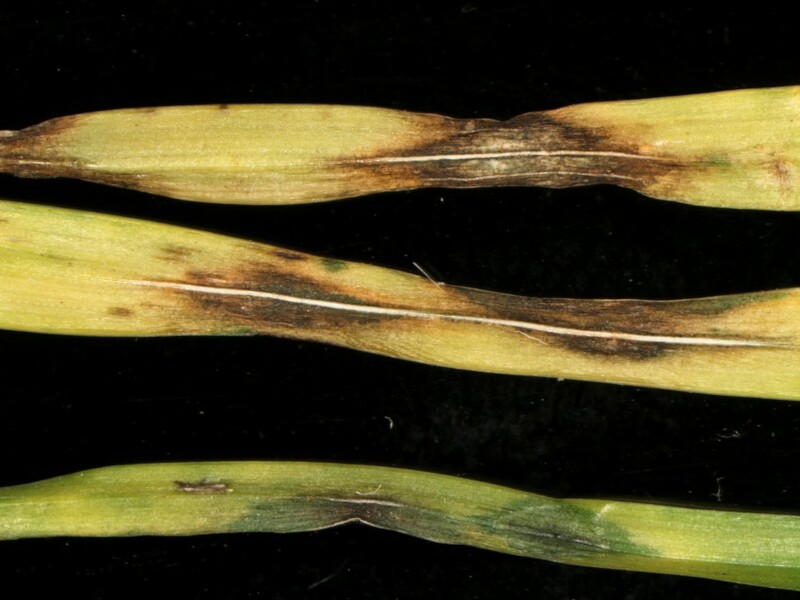 Fortunately, our plant breeders quickly identified resistant lines of perennial ryegrass in their breeding programs and now have made over a decade of improvements to GLS resistant varieties. 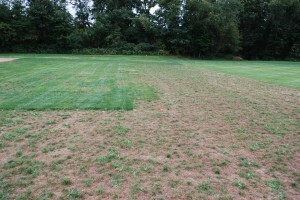 There are effective fungicide programs for gray leaf spot, but as always, the cheapest and most effective disease control programs begin with an improved turfgrass variety. 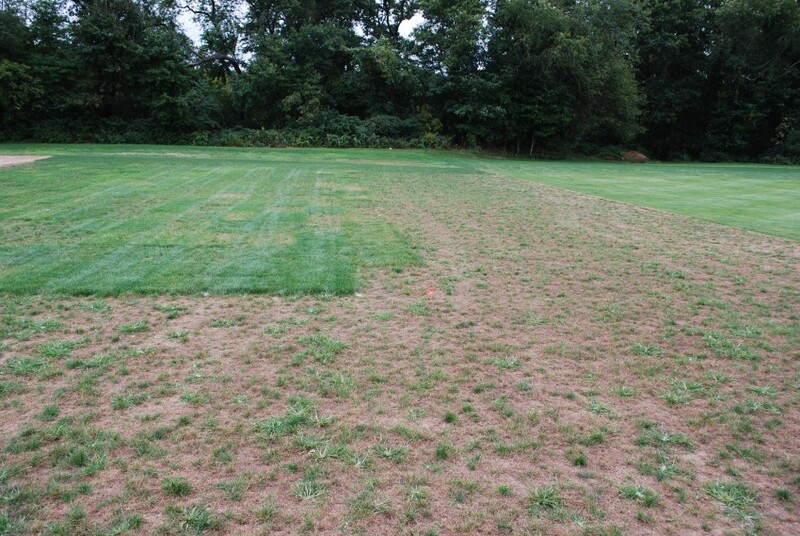 Gray leaf spot resistance rankings can be found at the National Turfgrass Evaluation Program website. Nice, mid-70’s and rain! I can’t wait for next week… keep your eyes peeled!